The easiest way to subscribe to our blog via email is to use the “Subscribe via Email” form on the right side of the page. For RSS subscription, see our main feed. If you are interested in a particular section of our blog, please see the options below. 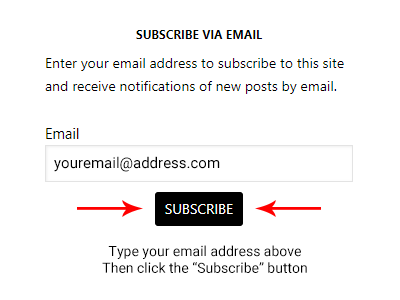 Just type in your email address in the above field, then click the “Subscribe” button. You will then receive an email address with instructions on how to complete the process.